I’ll start with the good news (although actually it’s all good news): the problems with the back wall of the house are not as bad as first feared. It’s still going to cost the price of a small car to put it right, but it was looking more like a Range Rover at one point, so we have to be happy with that! Two engineers came over to have a look and both settled on the same plan of action; dig down behind the wall in one-metre sections (so as not to cause the whole house to collapse) to see exactly what’s there and then gradually build a concrete foundation and back-fill the hole with a special type of non-shrinking concrete. However, the digging has revealed that we have a bit more wall than we first thought. It’s messy and has more than a few large holes in it, but there is at least a nod to a wall there. Which means, it doesn’t have to be repaired in tiny, expensive sections as there is no danger the house will come crashing down (I really hope I haven’t just jinxed anything there) if it’s all uncovered at once. So, with diggers and cement mixers doing their thing, I decided to make myself scarce for a couple days – I also figured 48 hours without discussing floor levels, door positions and window sills might be just what the doctor ordered – and headed up to the mountains with two friends. 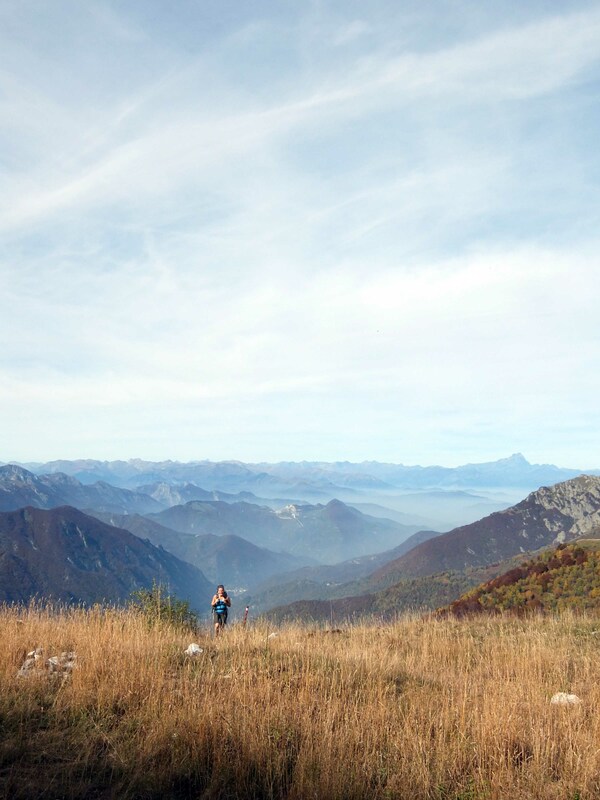 I’d noticed a couple of weeks ago during a short walk above Limone Piemonte that it should be possible to go over the ridge from Limone into the Valle Pesio, a huge area of national park dotted with hiking trails and small rifugi. Paradise, basically. 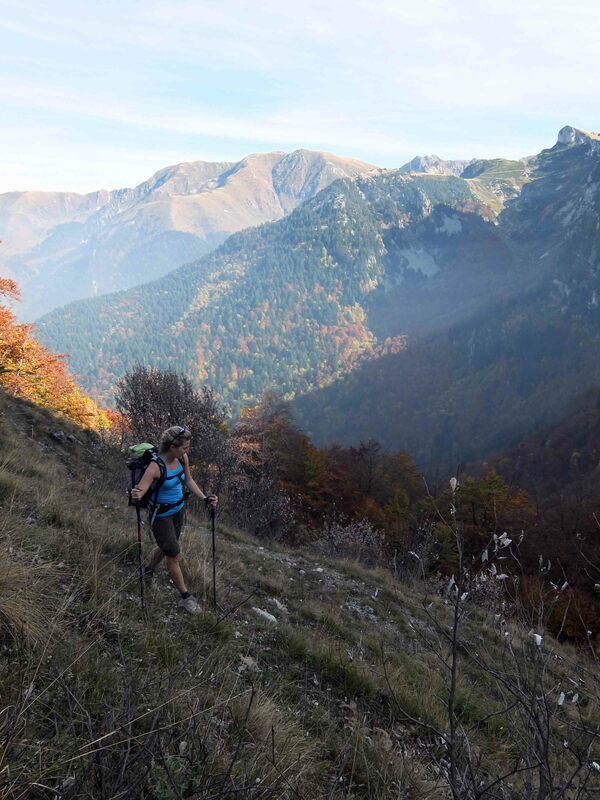 We started our walk in the town of Limone (any excuse for a coffee and a croissant) and headed upwards, meandering our way through bright red and orange forests and across open fields until we reached the ridge line. 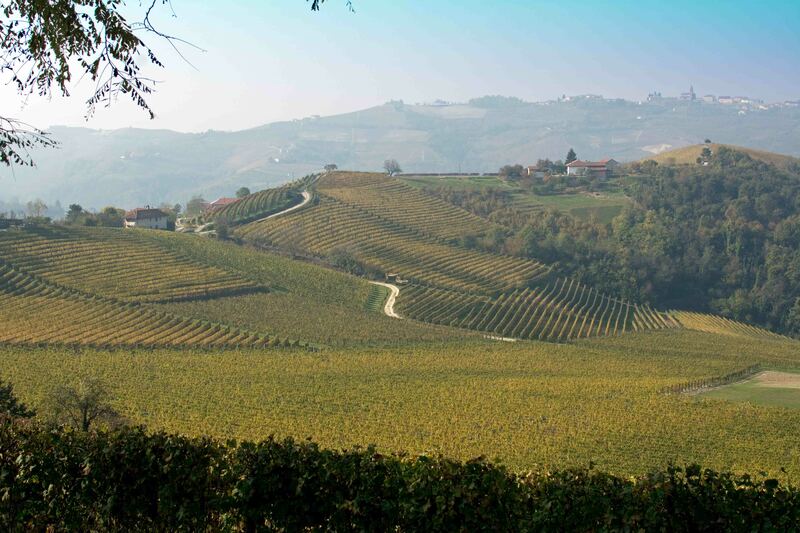 While autumn is just getting started in the Langhe, it’s already in full flow in the mountains. New England in the fall? You can keep it. 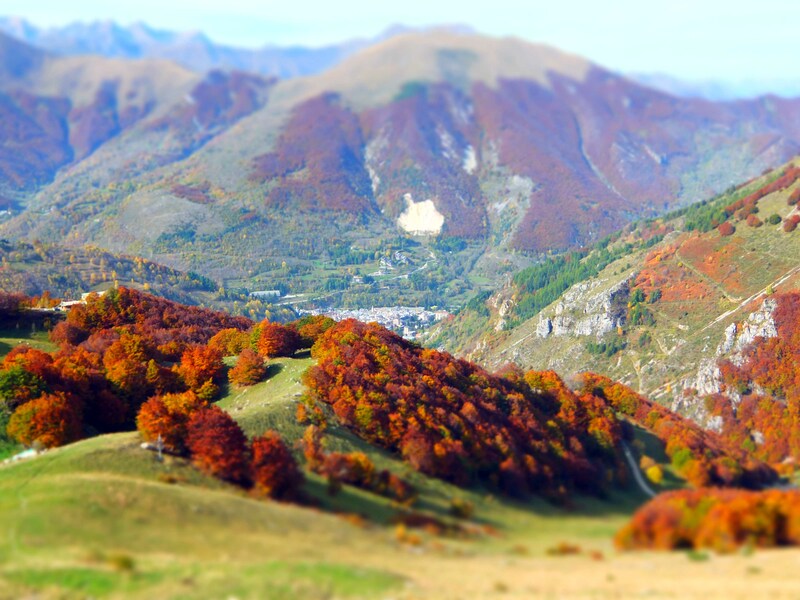 Check out Limone Piemonte in the fall! The view from the ridge. If you stare long enough you can just about make out Monviso. From the ridge, we dropped down the other side into the Valle Pesio. It’s a much tighter valley, more wooded and steeper-sided, and almost completely untouched. Not a road or building in sight. We had two maps with us, though they provided more comedy value than navigational help, disagreeing entirely on where the footpaths were supposed to be. Thankfully we had the signposts to fall back on. Except being Italy, they were largely useless too. My personal favourite was a large red arrow pointing to the left. We followed it and were nearly dead within 100 metres. So we quickly retraced our steps, did the opposite of what it said and ended up back on the path. It’s me. On the edge of a cliff. Thanks Big Red Arrow. Spot the difference… it turns out it’s also very hard to know how high something is! 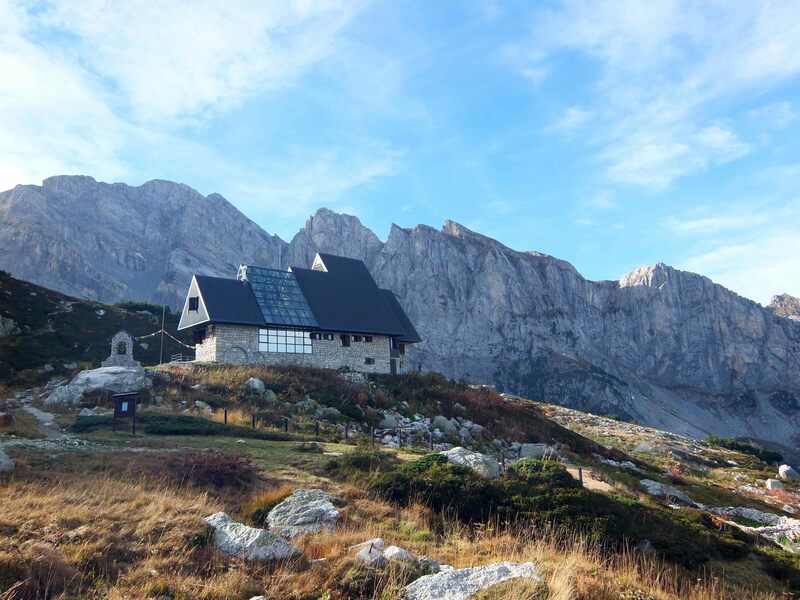 Despite Italy’s best efforts, we managed, eventually, to find our way to our home for the night – the Rifugio Pian delle Gorre – where we drank Dolcetto, talked rubbish and played dice until far too late. The following day we headed out early, and with slightly fuzzy heads, to make a circuit of the first part of the Valle Pesio. It was mind-blowingly beautiful. I’m not one to get overly caught up in this sort of thing, but the peace, the emptiness, the colours, the landscape, everything just blew me away. 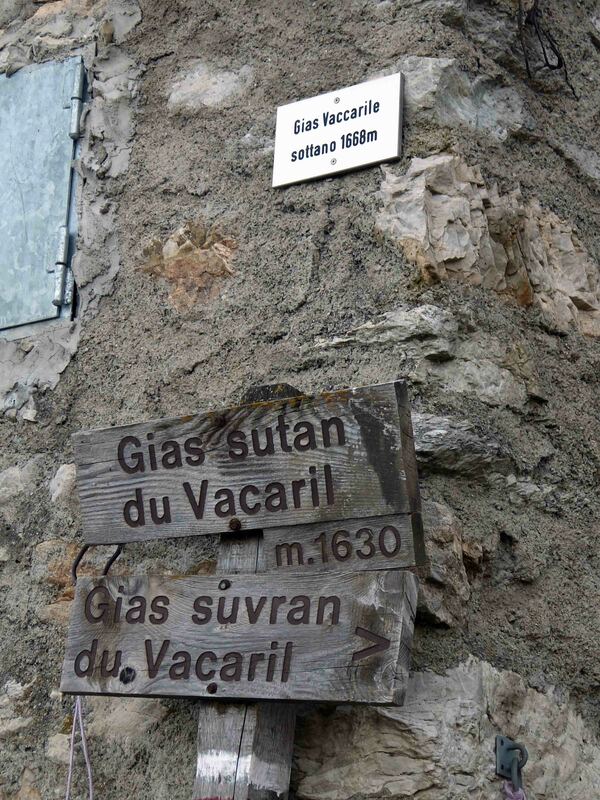 Even the signposts were largely accurate! But renovating waits for no man, and after two days of peace and tranquility it was time to head down and get back to reality. But when reality looks like this, I suppose it’s not so bad really! 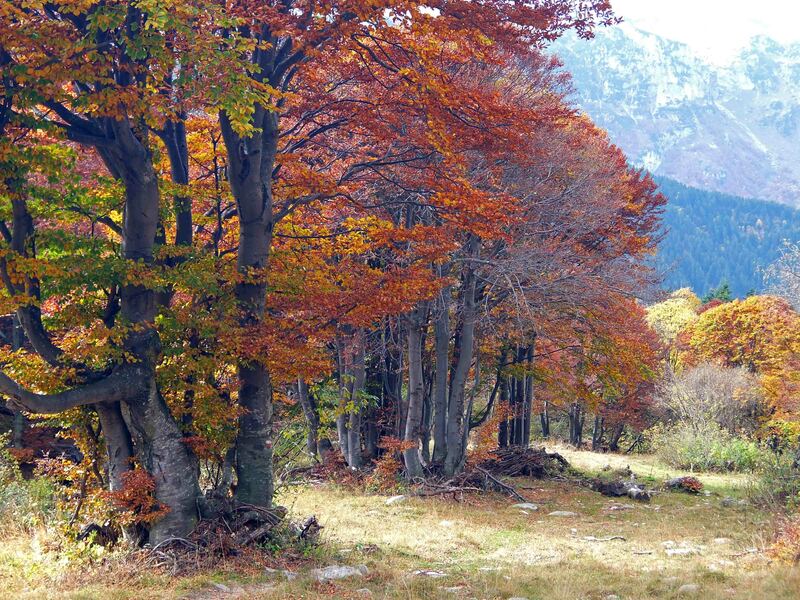 Stunning pictures, beautiful area, used to ski in Limone, when the kids were young, but lovely in Summer and Autumn, a really beautiful part of the World. Thanks Maureen, it’s a great town isn’t it. I’ve only skied a couple of days but looking forward to heading back this winter. It’s such a beautiful area! Really pretty! We drove through there this past summer on your recommendation of a scenic road from Nice to Asti! It was beautiful then, I can only imagine how it is now with all the Fall colors! How was the hiking? Strenuous or something a rooky can handle? I reckon pretty much anyone could handle it. There were a couple of steep bits, but nothing technical or dangerous. It was fairly long – we did about 35 km in two days – but there are plenty of shorter options. You should definitely check out Valle Pesio if you get a chance! I always had it in my head that spring was the best season for hiking, but I believe I’ve changed my mind on that — autumn is quickly becoming my favorite. Very much enjoyed your hike, and Otto? He didn’t want to tag along? Yeah, I used to think spring was best too, but it’s definitely autumn. The colours are ridiculous, the weather is perfect and there’s nobody around! Otto would have loved to have come along, but I thought it might be a bit long for him. He’s a city dog at heart and I’m not sure he could’ve handled it. He came and picked us up at the end though, so he still got to have a bit of run around in the mountains! Beautiful photos! 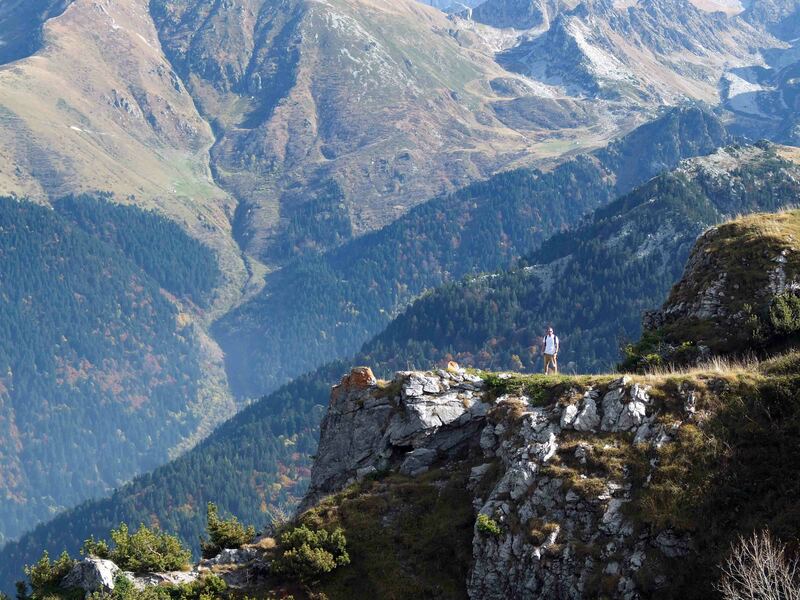 I love hiking in Piemonte, though I’ve found the trails to be pretty well marked both in the Alps (well, Gran Paradiso is a national park so they have to get with the program there) and with wine trails throughout the Langhe. Thanks Diana! Here in the Langhe I’ve also found them to be pretty good. I’ve not been up to Gran Paradiso yet (though I really, really want to!) so it’s good to know that I might not get too lost up there. The second day, in the Valle Pesio, which is also a national park, the signs were pretty good. It was just that first day when they were out to get us!! Oh my goodness, that looks like heaven! Yep, it was pretty nice… If you ever fancy a holiday in October I can highly recommend it!! What a stunning area. Our Garfagnana is a bit similar, but we don’t really have much autumn colour yet. Glad to hear things aren’t quite so disastrous with the wall as first sounded. Great idea to escape, getting into the mountains is the best therapy! Good luck with the renovating, keep posting. I think the work being done is called underpinning! No I’m not a builder, just had a similar problem in England many years ago. Lovely fotos. Hi June – no this isn’t underpinning, that’s been done already. This is just a reinforcement. The main role of this wall is to hold back the ground rather than hold up the house. It’s almost done now and looks really nice in a stark, concrete kind of way. It’s a shame we have to bury it now! beautiful pics…I love fall! My favorite time of year…..such a stunning place! Ha ha!! We did actually talk about Ennerdalegate… I still stand by you. Also, I didn’t let Verity hold the good map. The two genuinely did disagree (with the signs giving a third opinion) on this occasion though. I’d love to blame her, but I really can’t! Signposts! Aren’t they quaint. I guess it’s some kind of test? Maybe you were supposed to bring your rockcilmbing equipment?? There were a couple of points when ropes might have been handy… it all adds to the challenge though. It wouldn’t be Italy if it were easy!! Wow. You picked a spectacular spot to live. Thanks for sharing the beautiful photos. It’s a pleasure – and thanks!! I love the photos. This was pre rainy season?